Welcome to Better Decorating Bible! I’m so glad you are here! 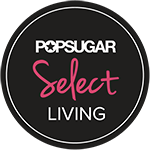 Better Decorating Bible has been one of the top home décor blogs on the web since it’s launch in 2011 and a proud partner of the Pop Sugar Select Home network, AOL’s Homesessive, Reward Style, Rivit Media, Houzz, Abode Magazine, and many others! Better Decorating Bible brings all your home decor needs into one place! From featuring fabulous products, gorgeous high quality photographs, dozens of home tours, easy and affordable DIY projects – BDB helps to turn a bland home beautiful! WHY PARTNER WITH BETTER DECORATING BIBLE? Better Decorating Bible is one of the top destinations for readers to get quick scoop on the latest interior design products, trends, ideas, and easy DIY projects. Featured on The Today Show, Homesessive.com, PopSugar.com, Houzz.com, Abode Magazine, and numerous other online and print magazines, Better Decorating Bible is firmly established in the online blogging community. The site is faithfully updated several times a week with interesting, fun to read content including the popular Home Tours, and DIY Project Fridays. Relationship building and connections with other readers and bloggers is very important to us and has been cultivated all over the blog-o-sphere through our website and social media pages like Facebook, Pinterest, and Twitter. WHO READS BETTER DECORATING BIBLE? Over 125,000+ people a month who are interested in creating a beautiful home and life on a budget, but in style. Every now and then our readers also love splurging on must have investment pieces and products for their homes. WHAT TOPICS ARE COVERED ON BETTER DECORATING BIBLE? Please email me for rates and more info! For other advertising opportunities site wide, please email me. We are also accepting advertising on our other websites BetterBakingBible.com and BetterHousekeeper.com. If you are interested in placing ads on these sites, please email me for more info and rates. If you are interested in advertising with Better Decorating Bible, contact us here.